This special edition contains the 3" CD WARPCD148X as a bonus. Some copies were available prior to the official release date. 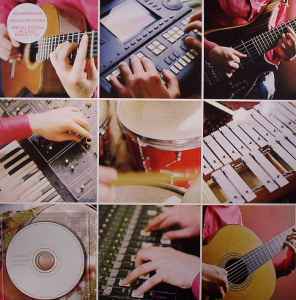 It's the most accessible record, the most jazzy and also the most coherent I've ever heard from Squarepusher. Without a doubt, this is the album to first listen to for anybody who wants to discover this multifaceted artist, some of his other releases are quite inaccessible. Please Squarepusher, come to perform at "Jazz A Vienne" Festival ! Fans of Tom's jazzy / electronic stuff will also be at home here, with a few tracks containing 'Music is rotted one note' era type stuff. Not nearly as groundbreaking or well constructed as Hard Normal Daddy or Go Plastic and the free 3" CD is rubbish compared to the last one, (Square Window).